Not enough space? off to the rack! 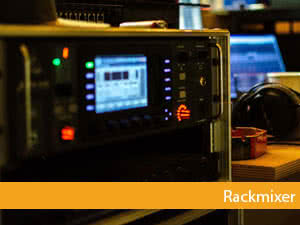 Rack mixers are particularly compact mixing consoles designed for studio or stage use. Due to their compact and standardized design, they can be mounted in a 19 "rack and can be transported either from stage to stage in one piece or a studio signal chain as fixed installation is also possible. 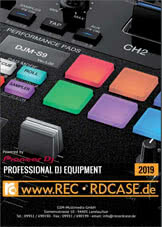 But also clubs and other organizers are ideal candidates for 19 inch mixers. They are easy to hide, do not interfere with the stage design and are "invisible" to be operated by one employee. If you want to buy a rack mixer, you often read the word U. But what does that even mean? Rack cases are standardised as mentioned above and all of them are manufactured in the 19 inch factor. This means that all devices fit into a 19 inch rack. But how much space they take away in the height is indicated by the so-called height unit (HU). A device with a HE needs exactly one "slot" in the rack. A device with 3U, on the other hand, requires 3x as much space in the height. 1 U corresponds to 1¾ inch = 44.45 millimeters. Mixers usually require several height units, since the many inputs/outputs and control buttons require more space in terms of construction. Especially effect devices such as EQs, compressors or reverbs usually only require one U. To ensure that everything has a compact footprint, the inputs and outputs are not placed on the front of the mixing console as usual, but are usually located completely on the rear panel. This has the advantage that enormous space is saved. Of course, this means that you lose a bit of flexibility, because plugging in or unplugging is not as quick as it used to be. The controls are also usually reduced to rack mixers. For example, you can order Faders that take up space are replaced by knobs. These are smaller, but cannot be operated as precisely and elegantly as a fader. However, there are also some mixing consoles that have complete fader equipment. The fact that no 24-channel mixed monster in 19 inch rack format can be realized is clear. However, rack mixers are usually equipped with 4-8 channels and are also popular with DJs, as many models can be easily placed on the table or stand and still look good. The channels are easily accessible at the back and if you don't want to do scratch-orgies like with a classic battle-mixer, you can also use a rack mixer.